He released his first two solo singles in 1968 under the pseudonym Hans Christian. His first Album (with Yes) "Yes" was released in 1969. In September 1975 Anderson appeared on the Vangelis album 'Heaven and Hell' with the song "So long ago, so clear" (Lyrics: Jon Anderson). In 1980 Jon Anderson started recording again with Vangelis and in the summer of 1980 Jon & Vangelis released there first album: 'Short Stories'. Jon Anderson also contributed (vocals) on de Vangelis album "See You Later" (1980) in two songs: Suffocation" and "See You Later". Jon and Vangelis - Page of Life - lyrics (1998) - re-release with different tracks. The song "Race To the End (chariots of fire)", is a vocal version based on the Chariots of Fire main theme: "Titles" from the album Chariots of fire. 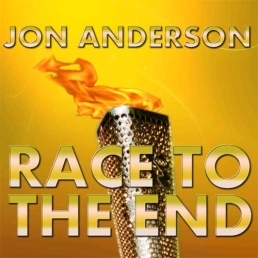 Jon Anderson with Christophe Lebled; for Jon' Anderson tribute to the Olympics games in London 2012.